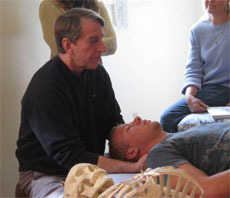 Dave Campbell, author and illustrator of Mastering Muscles & Movement – A Brain-Friendly System for Learning Musculoskeletal Anatomy and Kinesiology, teaches continuing education workshops for massage therapists and other interested groups. Available classes are listed below. For more information, please click on a class title. to address the layers and through-the-body relationships of the torso. An evening event with panel discussion and breakout sessions.